Easter Holiday Closings: Good Friday, April 19 & Easter Sunday, April 21. We will be open 9 - 5:30 on Saturday, April 20, 2019. 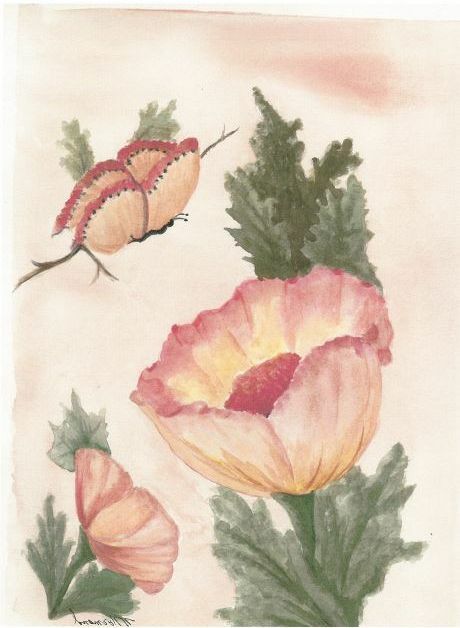 Noreen Normand's interest in the arts developed while she was a student at Bay Path College, but it wasn't until she retired that she was able to devote time and energy to the art of watercolor. She began by studying with Bedla Szabo, and took drawing classes with Frank Post at Norwalk Community College. She also studied under Barbara Lawless and Eddie Nino at the Westport Center for Senior Activities, and Richard Rauh, and continued to develop her skills under several local artists. Her love of gardening and flower arranging led her to painting botanicals and floras before expanding to landscapes and seascapes. 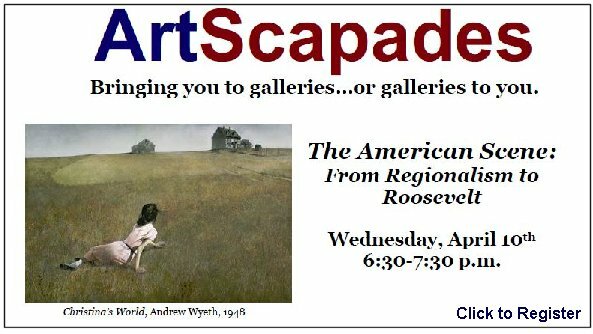 Normand is a member of the Black Rock Art Guild (BRAG) and the Fairfield County Arts Association (FCAA). 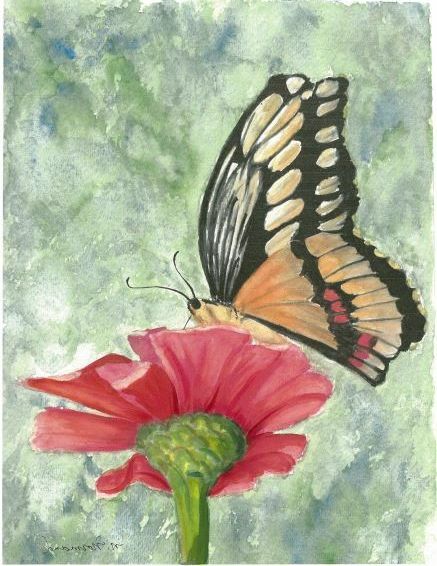 Her works have been exhibited at The Mayors Gallery - Norwalk City Hall, Independence Hall, Fairfield, Westport Center for Senior Activities, Weston Senior Center, Harborview Art Show - Saugatuck, Norwalk Public Library, Atria of Darien, SoNo and The Seaport Association, Fairfield University Book Store. 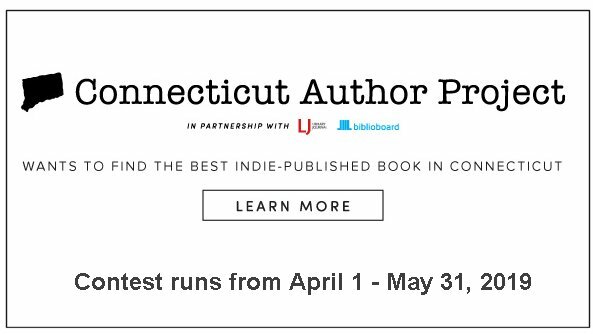 The Norwalk Public Library is pleased to join in the announcement of a local author contest that will accept submissions of adult and young adult (YA) fiction, to be recognized as the top independently-published eBooks in Connecticut. Caffe' e Conversazione with members of Vini, Vitti, Dici! -- an Italian community salon dedicated to promoting Italian language and culture in an informal setting will meet on two Saturdays in April: April 6th and 27th at 10am in the Carnegie Room. This is not a class for beginners! Participants must be able to carry on a conversation around a timely topic. For more info: ViniVittiDici@gmail.com or PatTinto1@gmail.com. The author has very graciously agreed to lead the discussion on her book on Thursday, May 23, from 6:30 to 8:15 pm. I have reserved the auditorium in anticipation of a larger crowd. Also, the National Organization of Italian American Women will be co-sponsors. We will gather at 6:00 pm to enjoy our aperitivi from the region of the book and then hear from Linda. She will also be signing and sellilng copies of the book that evening. RSVP to PatTinto1@gmail.com with your attendance and aperitivo that you will be bringing. We must wind up the evening by 8:15 since the library closes at 8:30 pm. The Norwalk Writers' Guild is pleased to present Hidden Stories, a writing program for adults led by Kim Kovach. Participants will be encouraged to tap into personal experiences, family stories, famous works of art and imagination for writing inspiration. These workshops are perfect for new, as well as experienced writers of creative nonfiction, memoir and fiction. Author and writing teacher, Kim Kovach, will help you discover your writer's voice in this six-week program. Registration is required for this program. Register online or contact Cynde Bloom Lahey, Director of Library Information Services, at (203) 899-2780 ext. 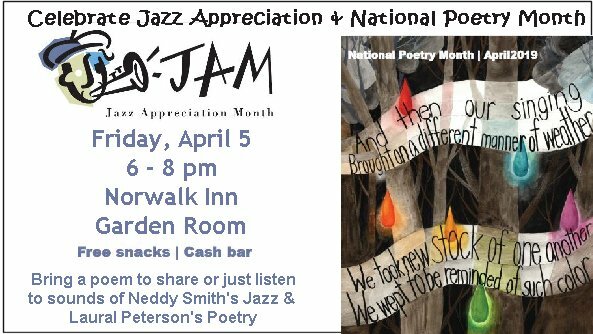 15133, or clahey@norwalkpl.org. . The Norwalk Public Library System is pleased to announce the no-cost, full service VITA/IRS Volunteer Tax Assistance Program. This program provides free state and federal income tax preparation and e-filing, with special attention to seniors and low to moderate income households. Our aim is to make tax filing more convenient and available to Norwalk residents. 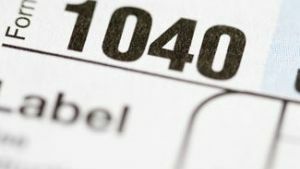 For further information, or for a list of other Norwalk locations for free tax preparation and filing, please call NPL's Information Desk at (203) 899-2780 ext. 15109, or visit our tax page. 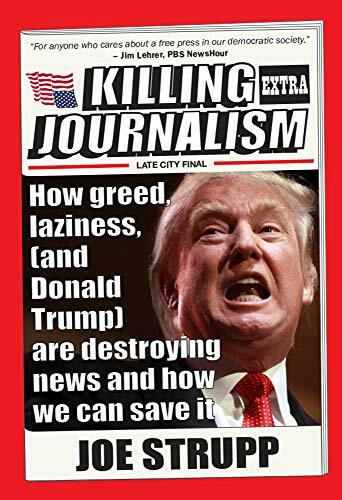 AuthorSpeak at Norwalk Public Library welcomes award-winning journalist Joe Strupp in a discussion of his book Killing Journalism: How Greed, Laziness, (and Donald Trump) are Destroying News and How We Can Save It. A light lunch will be provided courtesy of the library. Veteran journalist Joe Strupp has compiled thirty years of experience into a must-read overview of the real problems and challenges of the news media, and what must be done to counter them. Copies of Killing Journalism will be available for purchase and signing. 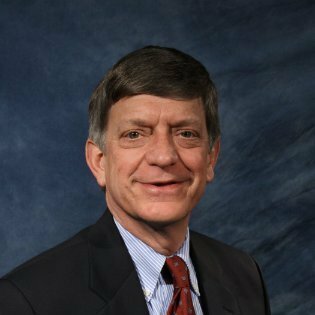 Joe Strupp is an award-winning journalist with 30 years' experience spanning newspapers, magazines, radio, television, cable and the web. He has spent the past 18 years covering media and news issues for Editor & Publisher magazine and Media Matters for America. 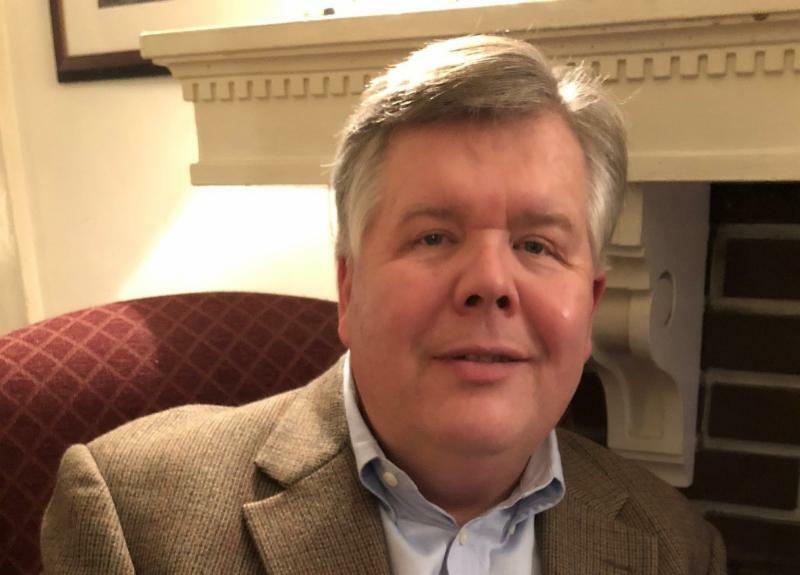 He has appeared on Fox News, MSNBC, National Public Radio, The O'Reilly Factor, and Air America Radio among numerous others, and SiriusXM Radio to discuss media-related topics. Joe's work has also appeared in Salon.com, San Francisco magazine, MediaWeek and New Jersey Monthly. He has received honors from the New Jersey Press Association, Society of Professional Journalists, and other professional organizations. He is currently a freelance writer and adjunct professor in media at Fairleigh Dickinson University and Rutgers University. His previous book, The City and County, is set to be re-published in paperback in the coming months. Cynde Bloom Lahey, Director of Library Information Services, at (203) 899-2780 ext. 15133, or clahey@norwalkpl.org. 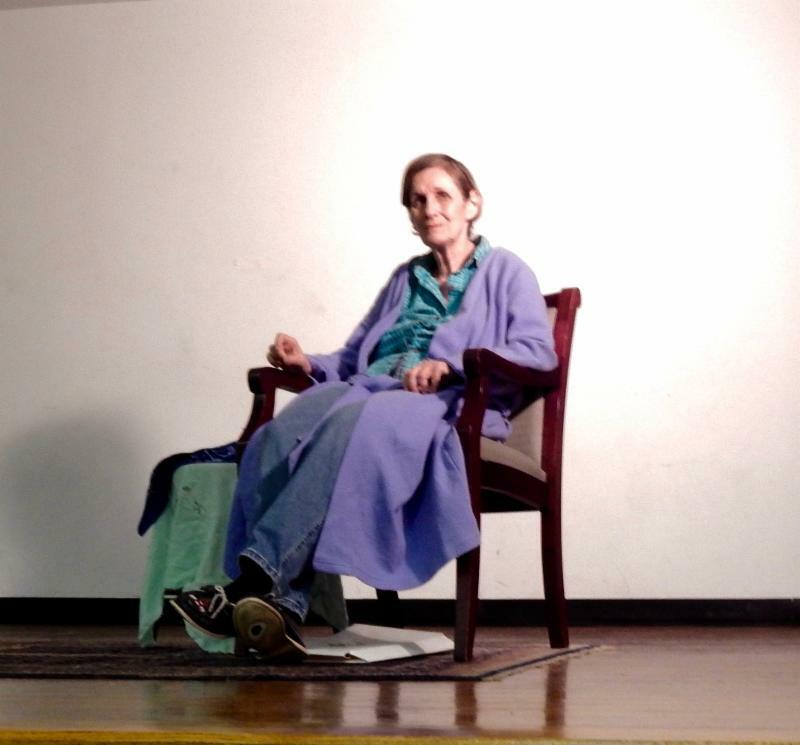 Norwalk Public Library is pleased to announce the return of Prudence Wright Holmes in a solo performance of "The Secrets of a Mockingbird". A light lunch will be provided courtesy of the library. Harper Lee, author of To Kill a Mockingbird, was one of America's most beloved, but reclusive authors. In this one-woman show, we learn of her close relationships with her father and her childhood friend, Truman Capote, until they both broke her heart. 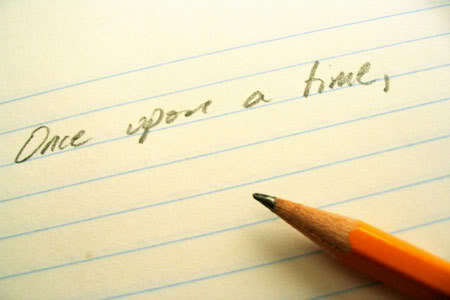 She never wrote another book - until she did. Prudence Wright Holmes has appeared in the films: Sister Act I and II, with Whoopi Goldberg; Kingpin, with Woody Harrelson; Dreams, with Annette Bening; My Own Love Song, with Renee Zellweger; After Life, with Liam Neeson; and God's Pocket, with Philip Seymour Hoffman. On Broadway, she appeared in Happy End, with Meryl Streep; Lettice and Lovage, with Maggie Smith; Inherit the Wind, with George C. Scott; and The Light in the Piazza. She wrote and performed her critically-acclaimed solo show Bexley, OH! at New York Theatre Workshop. She is currently touring her solo show, Call Me William, the Life and Loves of Willa Cather, as well as her interactive murder mystery, Agatha is Missing. This seminar will help you develop several skills; fully appreciate the view point of others, constructively deal with differences of opinion. Reach agreements that meet the interests of all parties. 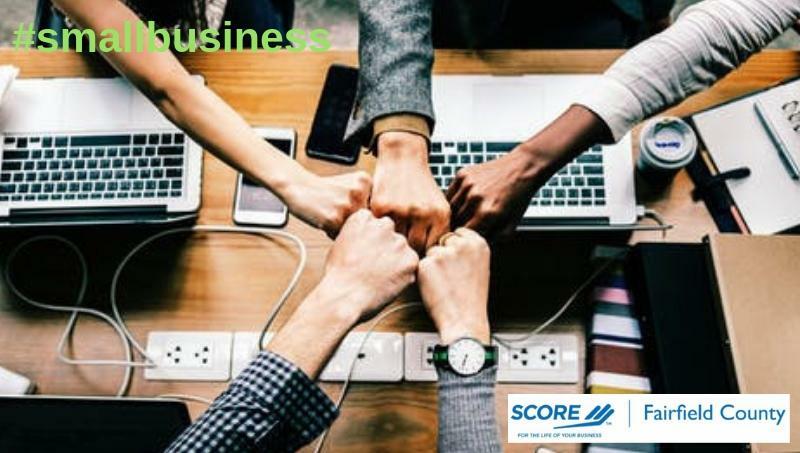 Learn to use the Win Win skills with employees, customers, suppliers, and all other constituencies. It's not a PowerPoint lecture. He earned his B.A. in Political Science from the University of Vermont. 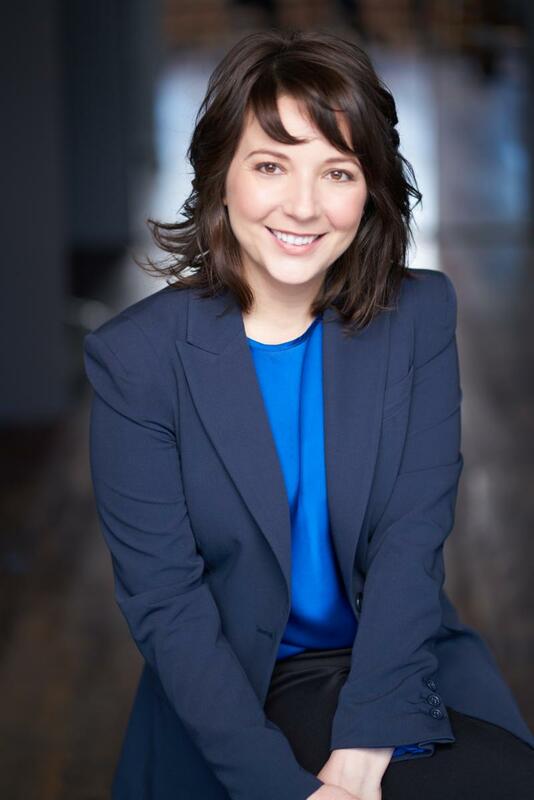 Marcelina Nowosadzki is a Program Manager at Nelnet, Inc. She currently manages strategic, complex projects for research universities and colleges. She developed unique project management methodologies, training programs, is a frequent speaker and a workshop coach. Marcelina is PMP, CSM, and Prosci certified and holds an MS in Business and Information Technology. Norwalk Library's Director of Library Information Services, Cynde Bloom Lahey, will lead a discussion of Fly Girls by Keith O'Brien. Between the world wars, no sport was more popular, or more dangerous, than airplane racing. While male pilots were lauded as heroes, the few women who dared to fly were more often ridiculed-until a cadre of women pilots banded together to break through the entrenched prejudice. 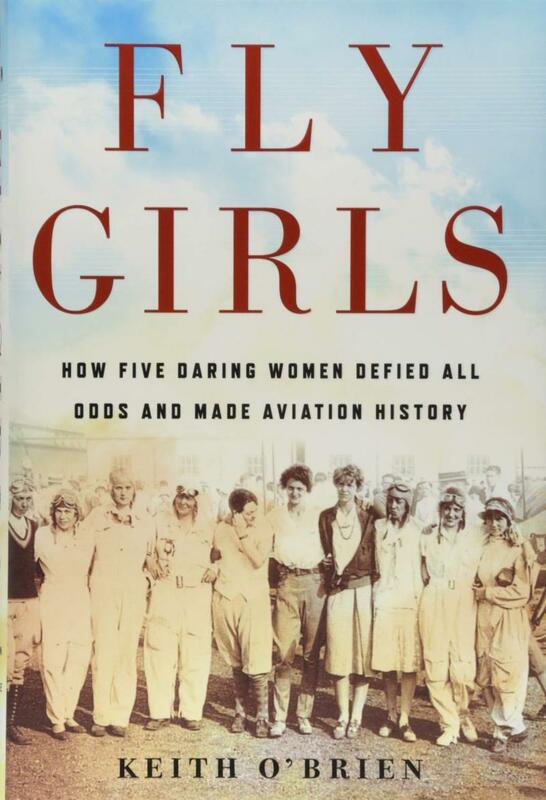 Fly Girls weaves together the stories of five remarkable women: Florence Klingensmith, a high school dropout from Fargo, North Dakota; Ruth Elder, an Alabama divorcée; Amelia Earhart, the most famous, but not necessarily the most skilled; Ruth Nichols, who chafed at her blue blood family's expectations; and Louise Thaden, the young mother of two who got her start selling coal in Wichita. Together, they fought for the chance to fly and race airplanes-and in 1936, one of them would triumph, beating the men in the toughest air race of them all. 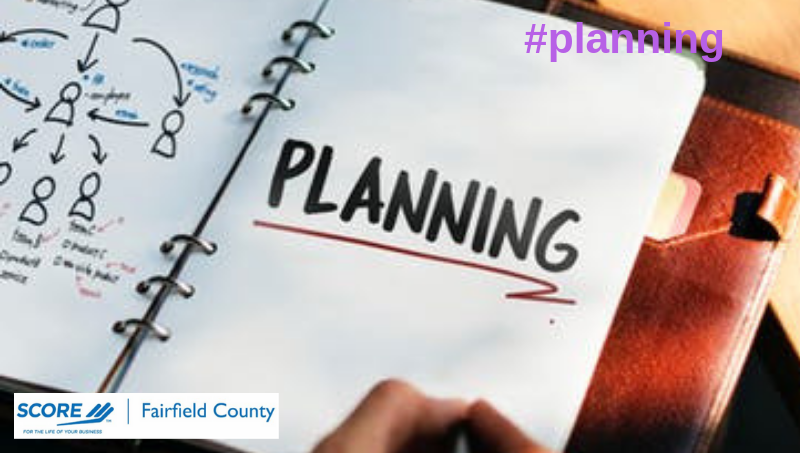 Norwalk Library's Director of Library Information Services, Cynde Bloom Lahey, Director of Library Information Services, at (203) 899-2780 ext. 15133, or clahey@norwalkpl.org. 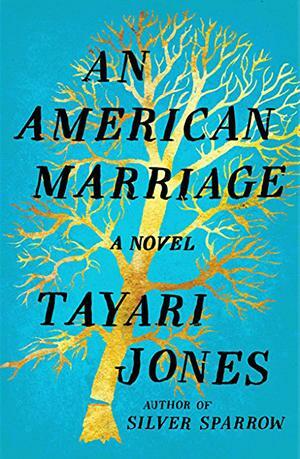 Bring your lunch and join Reference Librarian Susannah Violino for a lively discussion of An American Marriage by Tayari Jones. Books Sandwiched In meets the last Thursday of every month. 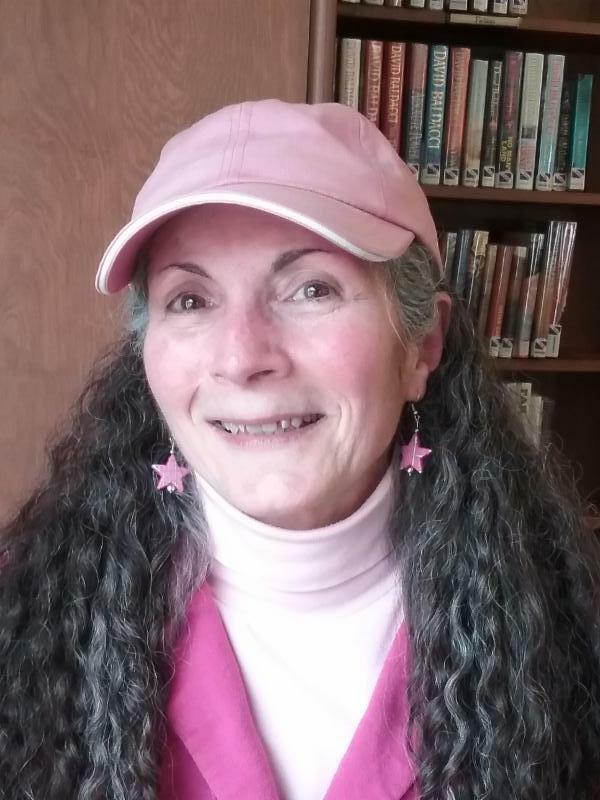 Linda Lombardo is known to local residents for her work as a Silver Sneakers instructor, Linda has been a Business Education teacher with the New Canaan, Norwalk, Fairfield, Greenwich and Stamford Public School Systems for over 20 years. She is certified by the American College of Sports Medicine as a health fitness instructor, personal trainer and nutrition counselor. Stop by on Tuesday or Thursday to welcome Linda and try out a new version of Low Impact Aerobics. 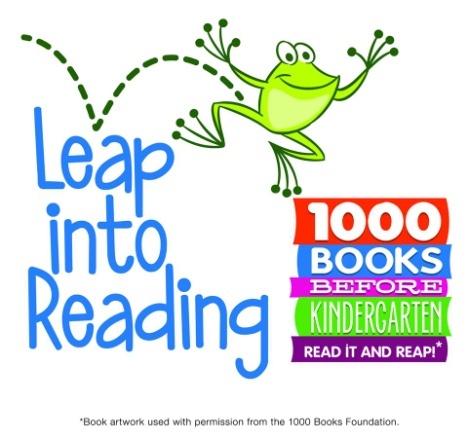 Register here for 1000 Books Before Kindergarten to read and win prizes! Let's take a walk though time... but be careful where you step! As the weather warms up and Connecticut residents prepare to spend more time outside, walking through various parts of Norwalk means strolling through land with a long history of ownership and claim. 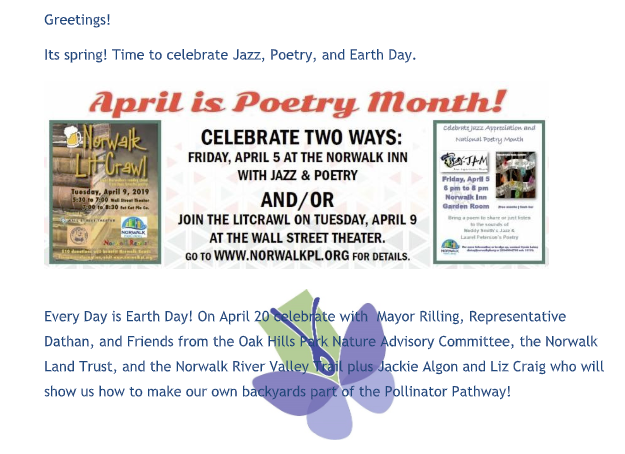 Today, the Norwalk we know is clearly defined on any modern map. However,a close look at the city's history of boundary agreements and disputes illuminates how this was not always the case. Since its founding in the1600s, the boundaries of Norwalk have been challenged and changed several times. In fact, the city's history is directly linked to the creation of several neighboring towns in Fairfield County. In 1801, New Canaan was founded from lands that were previously part of Norwalk. Wilton's 1802 founding, and Westport's 1835 founding also both involved Norwalk lands. In addition, Connecticut itself was impacted and shaped by land disputes with neighboring states including New York, Rhode Island and Massachusetts. Original land claims trace back to the English, Dutch and early Native American purchase agreements also hold much insight into how Norwalk's earliest boundaries were originally created and set. In the 1800s, much of Norwalk existed in various divisions that included South Norwalk and other neighborhoods. Fast forward to 1913, these divisions were consolidated into the city we recognize now. The Romance of Norwalk, / by Elsie Nicholas Danenberg. Chapter seven of this book details three specific boundary disputes involving New York state, Fairfield and Stamford. It's worth noting that the dispute with New York continued for more than two centuries! The Boundary Disputes of Connecticut / by Clarence Winthrop Bowen. In this detailed resource, Bowen reveals how boundary disputes have spanned generations, and show how the state's boundaries have been in "perpetual motion." Names and Places of Old Norwalk, With Portions of Wilton, Westport and New Cannan/ by Malcolm Hunt. Published in 1976 by Friends of Lockwood House, this book captures includes a map that details the boundaries of Old Norwalk! Connecticut, A Fully Illustrated History from the 17th c. to the Present / Written by Albert E. Van Dusen, former Connecticut State Historian from 1952-1985, chapter six is dedicated to boundary disputes and inter-colonial war history.This resource helps paint a historical picture of the boundary challenges Connecticut faced on a state-level. 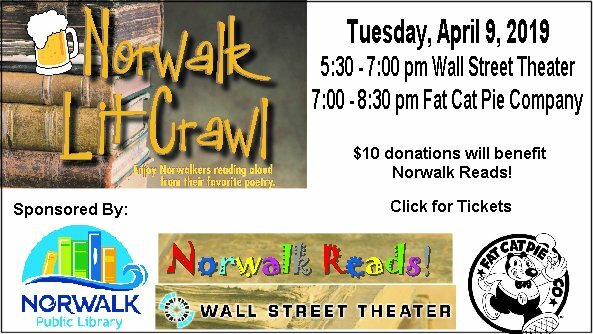 Norwalk After 250 Years/ by Norwalk Historical and Memorial Library Association.This provides and in-depth and historical rich overview of Norwalk as it developed over time. Come and visit! Learn more about your home town! 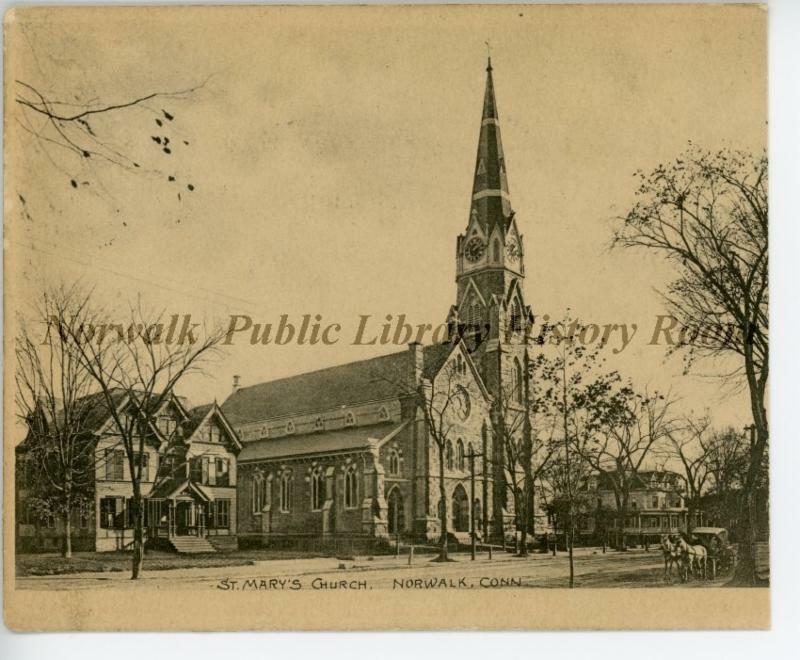 Our first online records are postcards of Norwalk scenes, most dating from the beginning of the 20th century. We will follow these with regular additions from our collection of thousands of documents and photographs. Search by keyword or use the advanced search feature. The postcards can also be viewed randomly. The Norwalk History Room and archive combines the library's former Local History Collection with the archival collections of the former Norwalk Museum. The lower level of the main library building at 1 Belden Avenue houses this large array of published and unpublished books and papers, photographs and maps, and more, covering over 300 years of Norwalk history. The mission of the Norwalk Public Library History Room is to preserve the archival materials, including manuscripts, photographs, maps, newspapers, and books, which illustrate the history of Norwalk, Connecticut. This History Room online database will further our goal of promoting knowledge and appreciation of the long history and rich cultural heritage of the Town of Norwalk. 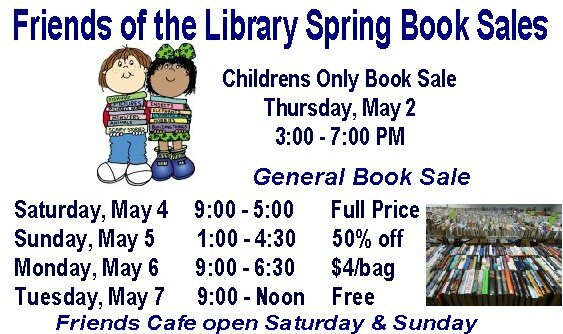 Help is needed with setting up & working at the Friends of NPL May Book Sale. We are excited to announce a great new service that will allow you to easily keep track of everything going on at the library and all over Norwalk. Introducing Burbio.com a free website and app that puts ALL Norwalk schools, library and many other community calendars and events in one place. With Burbio, you can select calendars to follow, create a personalized event feed, sync local events to your Google or iPhone calendars instantly and get notified when things change! Sign up for free at: www.Burbio.com or download the iPhone App and follow our calendar! NPL has partnered with drivers-test.org to bring you the current CT DMV driver's practice tests for free! Included are car, motorcycle, CDL practice test, and the driver's manuals for each test. Also included are accessibility tools that let users hear selections read aloud, make them into MP3s, translate pages into other languages, magnify text, and mask portions of the screen for greater visibility on the practice tests. The Social Security Administration offers their Video Service Delivery program at the Norwalk Public Library. This service is available every Friday between 9:00 a.m. and 12:00 noon in a small study room on the first floor of the Main Library. 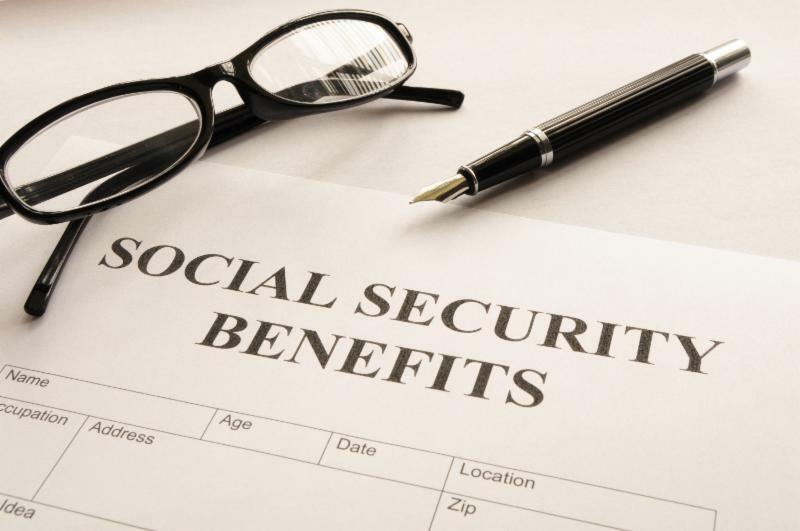 People needing to speak with a Social Security employee will be able to do so. Video conferencing equipment has been set up so people can speak face to face with the Social Security employee. No appointment is necessary. This service was made available as a result of the closing of the Social Security office in Norwalk a few years ago.